Today I have three older templates sets on sale, and there is something for everybody here! Enjoy the 50% SOSN discount on these products today only, January 4, 2017. 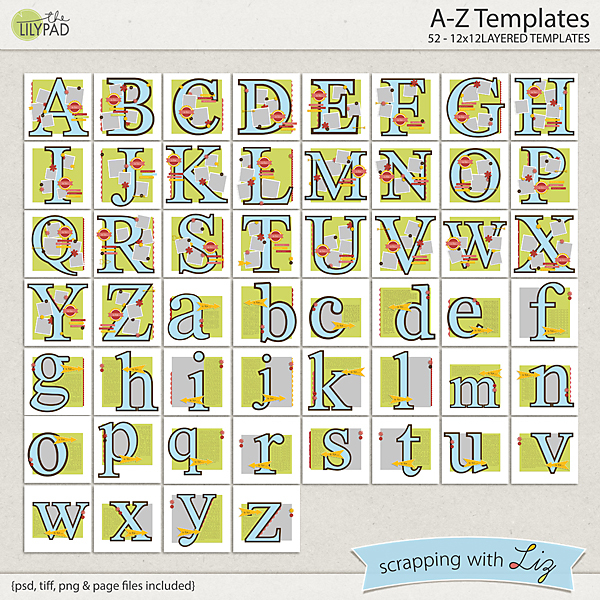 A-Z Templates is a huge ABC album set. 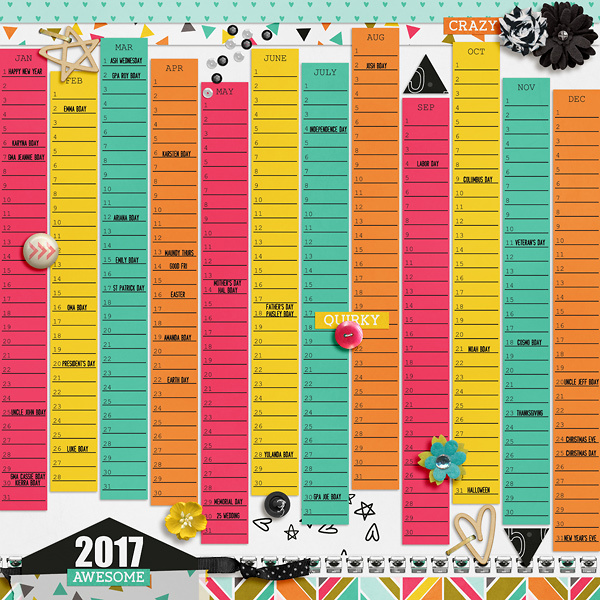 The uppercase versions have square photo spots scattered about, and simple journaling on strips. The lowercase versions have one (or more) photo spot tucked around or inside the letters, and a bit more text. 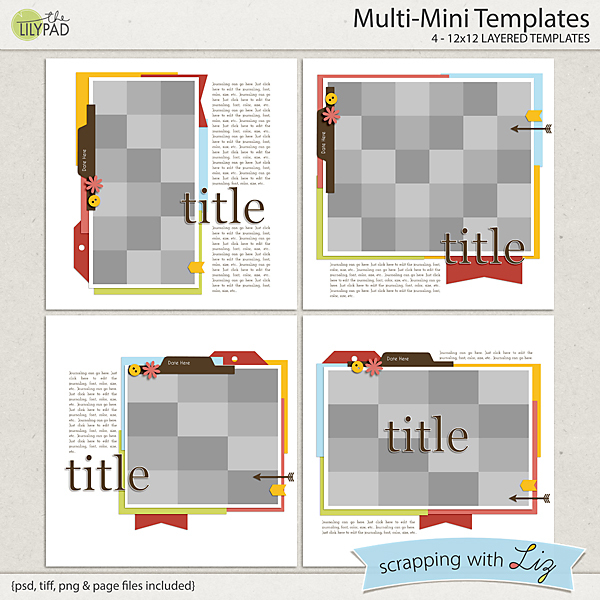 Multi-Mini Templates is a traditional set of digital templates with lots of small photos in a big grid. 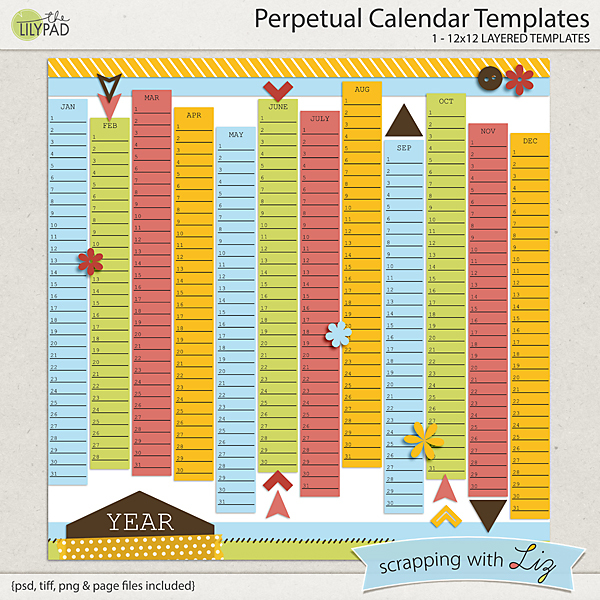 And finally, Perpetual Calendar Template is a template for making a list of birthdays, anniversaries, and other special dates that happen every year. 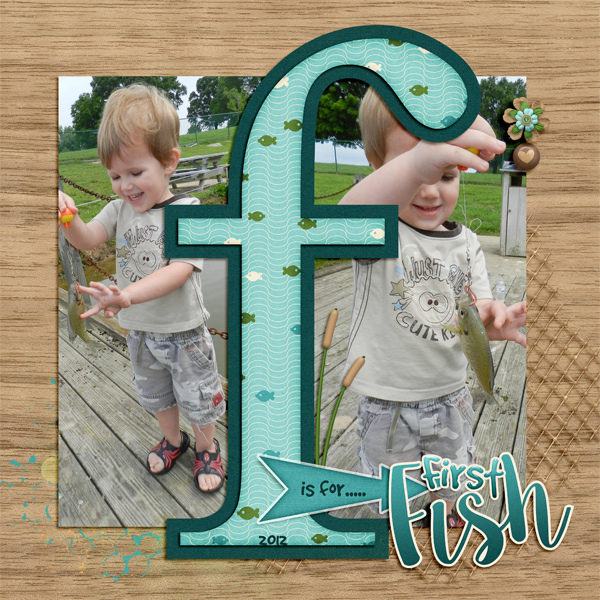 Christine's big letter f pops beautifully over her photos in this page with A-Z Templates. 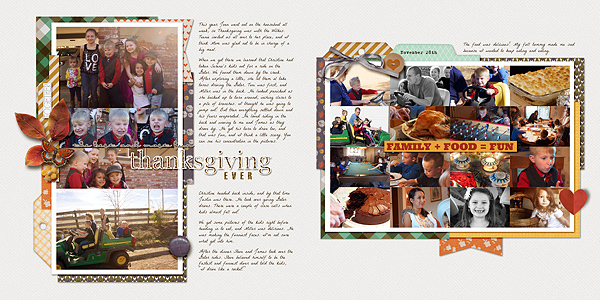 Amanda used Perpetual Calendar Template for a page in her pocket style album. And here's a double page Tiffany made with Multi-Mini Templates.